Ms. Glenda Lester of Raeford passed away Friday, April 12, 2019 at FirstHealth Hoke Campus in Raeford at the age 76. Ms. Lester was born in Raeford on July 26, 1942, to the late Carson Alexander Clippard Sr. and Ruby Julia Haire Clippard. She was preceded in death by her brother, Carson Alexander Clippard, Jr.
Glenda Yvonne Lester lived a selfless life serving her community. As a member of Raeford Presbyterian Church, Glenda’s service is nearly impossible to sum up in a mere paragraph. Through the years that Glenda served her church she assumed roles of: Class of 2021 Elder, committee member of Ministry of Christian education, Chairwoman of the spiritual nurture committee, member of Coastal Carolina Presbytery Missions Committee, junior & senior high youth advisor, and dedicated Sunday School and Vacation bible study teacher. One of Glenda’s favorite involvements with the church were the regular trips to Mexico to support Faith Ministries. Glenda’s altruism had no bounds, as she was known to regularly provide scholarship money to underprivileged kids of the church as well as sponsoring children through compassion international. It was well known that Glenda provided free tutoring for children at the local library, as well as serving on their Friends of the Library Committee. In addition to her many official roles within the church and community, Glenda was nearly as active behind the scenes. She was heavily involved with: Hoke County Habitat for Humanity, Operation Christmas Child, fundraising for the book mobile, as well the book exchange across Hoke county. Glenda was as dedicated in the community as she was professionally. In her illustrious 57 year career as a teacher, she touched the lives of countless children. She spent 46 years at J.W. McLaughlin, before retiring from the state. She then spent an additional 11 years serving the students of Flora McDonald Academy, before finally retiring from her labor of love. Glenda was admired by both students and teachers throughout her career, and in 1986 was honored as Hoke County’s Teach of the Year. Although many people in Glenda’s life knew her as “Grandma”, she treated so many in her life as a mother. From the multitude of students that she taught through the years, the youth of Raeford Presbyterian Church, the children around Miguel Aleman Mexico, her own brother and sister and nephews, or the entire Brock family. The only thing that she loved more than Wolfpack football, was the company of her family. Memories of countless football games, beach trips, golf tournaments, mission trips, Christmas celebrations, graduations, weddings, fund raisers, and committee meetings are how Glenda would want to be remembered. She gave everything she had to those around her, only expecting love in return. Itemizing Glenda’s lifetime of accomplishments does not even begin to do her life justice. Even though the above list is a long one, I am sure that’s not even scratching the surface of what she dedicated her life to. She had a great sense of pride in her family, her church, and her community, all while only thinking of others. She was the most compassionate, vibrant, generous, and gracious person you would ever meet, and was supportive of everyone she encountered. We are all fortunate to have been a part of her life, and her presence can never be replaced. Glenda is survived by a sister, Deborah C. Wellington of New Bern, two nephews, Jason Bryant Wellington (Laura) of Wilmington, and Patrick Brock Wellington (Theresa) of Indian Land, SC., two great nephews Charlie Wellington, Luke Wellington and one great niece Betsy Wellington. Her companion in life, L.S. Brock of Raeford, also his daughter Lynn Brock. 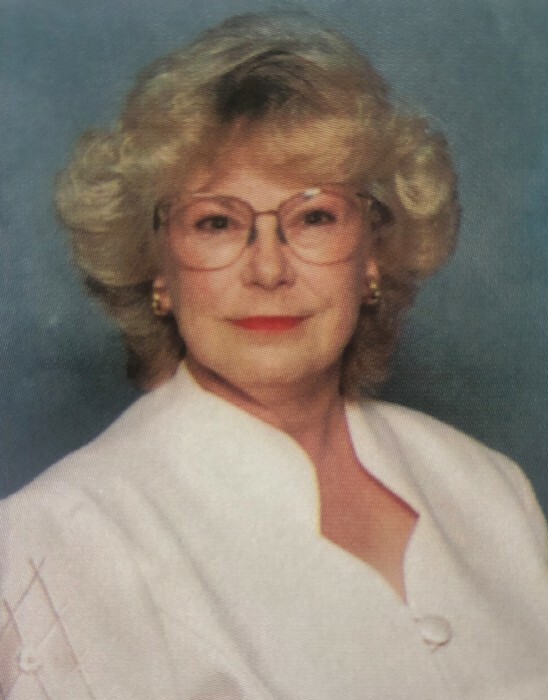 A visitation will be held 10:00 am until 11:00 Thursday, April 18, 2019 at the Raeford Presbyterian Church in the John C. Ropp Fellowship Hall. A funeral service will follow at 11:00 am at the Raeford Presbyterian Church with the Rev. Dr. Steven Fitzgerald officiating. Burial will be in the Raeford Cemetery.